Would the leonine Steve Jobs approve? Sony Pictures has announced that Aaron Sorkin, the man who won an Oscar for writing The Social Network, will pen the film based on the official Steve Jobs biography. 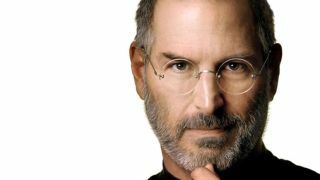 The Sorkin movie will be based on Walter Isaacson's biography that Sony bought the rights to for over $1 million (about £626,000) just after Jobs' death in October last year. The book proved to be quite the hit, being Amazon's best-selling book of 2011 and no doubt big numbers are expected of the film too. Aaron Sorkin is fast becoming Hollywood's go-to tech-movie scribbler, prompting Sony Pictures' co-chairman Amy Pascal to gush that "no writer working in Hollywood today… is more capable of capturing such an extraordinary life for the screen than Aaron Sorkin." It's no massive surprise that Sorkin has signed on after he conceded that he was "strongly considering" agreeing to the Jobs film, inspired by his 11-year-old daughter who's apparently quite the Apple fan-girl. Sorkin's new project is not to be confused with indie-Jobs biopic starring everyone's favourite Charlie Sheen replacement Ashton Kutcher. That's an "indie" flick with "serious acting" and "hippies". Place your bets now on which one the Academy will favour. Still, at least the costume designers will have an easy time of it.